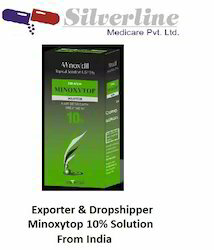 Minoxytop solution is a vasodilator, prescribed for hypertension. It relaxes blood vessels and improves blood flow. 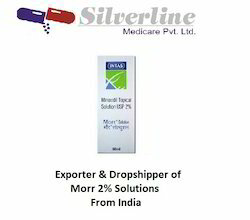 Minoxidil solution is a vasodilator. 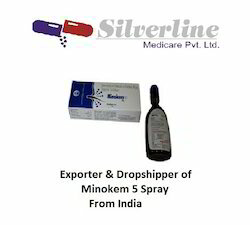 It is not known how minoxidil solution stimulates scalp hair growth. It is possible that it dilates blood vessels in the scalp, which may improve hair follicle function and stimulate scalp hair growth. In addition to its needed effects, some unwanted effects may be caused by minoxidil topical. In the event that any of these side effects do occur, they may require medical attention. Adult: PO Severe HTN unresponsive to standard therapy W/ a ß-blocker or methyldopa, and a diuretic: Initial: 2.5-5 mg/day, up to 40 or 50 mg/day. Max: 100 mg/day. Dose changes may be made 6 hrly (w/ monitoring) for rapid BP control. Topical Male pattern baldnessAs 2% or 5% soln: Apply 1 mL twice daily. Reflex tachycardia, fluid retention (accompanied by wt gain, oedema, and sometimes deterioration of existing heart failure and changes in the ECG), hypertrichosis. 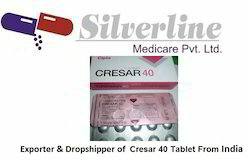 Headache, nausea, gynaecomastia and breast tenderness, polymenorrhoea, skin rash, thrombocytopenia. Topical: Systemic effects may also occur; contact dermatitis, pruritus, local burning, flushing; changes in hair colour or texture. Potentially Fatal: Ischaemic heart disease; pericardial effusion progressing to tamponade and death; angina pectoris may be aggravated or uncovered; pulmonary hypertension. Rebound hypertension (in patients with severe hypertension). Stevens-Johnson syndrome. Significant renal dysfunction; coronary artery disease; recent MI; pulmonary hypertension; angina pectoris; chronic CHF; porphyria. Monitor fluid and electrolyte balance, body wt. Restrict topical application to the scalp. Pregnancy. Antihypertensive effect may be enhanced by other hypotensive drugs. Topical: Absorption may be increased with , retinoids, occlusive ointment bases. Potentially Fatal: Severe orthostatic hypotension may occur with guanethidine. Whilst you can likely achieve results from simply massaging the solution into the affected area of the scalp on a daily basis, you give yourself the best chance of both a speedier, and more effective, outcome if you can keep a few things in mind. Both things to avoid, and things to be sure to do. Rogaine isn’t cheap, nor are results guaranteed. To have the best chance of success in any area it pays to know how to use your tools. Using the handle of a screwdriver to remove a screw is probably not the best approach, for example. Note: In this article I talk about application of the topical, 5% , liquid solution, which is what I use. Application of the liquid solution is performed using a standard dropper, provided as part of the bottle. 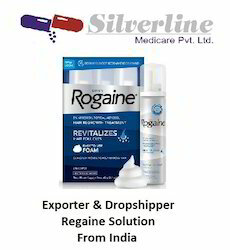 Whilst Rogaine is the most popular product containing (the active hair growth agent in Rogaine), the advice in this article applies to all -based products. I don’t specifically cover application of Rogaine foam here, although many of the concepts will equally apply. The recommended daily dose of Rogaine is 1 millilitre (1ml). There are essentially two methods to applying this quantity – which you choose will depend on what best fits with your routine. This is the method I’ve used since I started . If applied properly you can cover the same area as if you had applied 1 millilitre. I prefer this method based on a similar theory used in time-release vitamins and drugs. It’s my belief that this method provides benefits over a longer period of time by virtue of spaced application and reduced wastage. In short, it avoids potential inability of the scalp to absorb the entire 1ml with maximum efficiency. Like I said, it’s a theory. If it speaks to you, and you can fit it into your routine, then no harm done. It works for me and I noticed results in double-quick time when I first began using the solution (between 3 – 6 weeks). See the ‘What Worked for Me’ section for further details. The original, doctor-recommended treatment for hair regrowth. Essential for healthy and thicker-looking hair. Regrows Hair: Women's ROGAINE® Topical Solution contains , the first FDA-approved ingredient clinically proven to help regrow hair. Quick & Easy: Just apply twice a day as part of your regular beauty regimen. Make Women's ROGAINE® Topical Solution part of your everyday beauty regimen, and feel proud of your hair again! Pheochromocytoma, acute MI, dissecting aortic aneurysm. Hair loss affects millions of women worldwide. Baldness (technically known as alopecia) can be caused by alopecia areata, an autoimmune disorder, by fungal infection, traumatic damage, such as by compulsive pulling, as a result of chemotherapy, and as a result of nutritional deficiencies such as Iron deficiency. When it comes to drug treatments for androgeneticalopecia, women are in a difficult position. While many drugs may work to some degree for certain women, doctors hesitate to prescribe them. What's more, drug companies aren't falling over themselves to test drugs specifically for their ability to prevent and treat female pattern baldness. Physicians are reluctant to prescribe systemic treatments (pills or other form of treatment that affects your entire system) because they can tamper with your body's own androgen levels (see Causes for an explanation of androgens). The doctor will first want to confirm that the hair loss is due to an excess of androgen (another name for male hormones) in the system or a sensitized "over-response" to normal amounts of androgen. Therefore, physicians often choose topical treatments, which are applied directly to the scalp. Beginning treatment as soon as possible after the hair loss begins gives the best results, because prolonged androgenetic alopecia may destroy many of the hair follicles. The use of anti-androgens after prolonged hair loss will help prevent further damage and encourage some hair regrowth from follicles that have been dormant but are still viable. Stopping treatment will result in the hair loss resuming if the androgens aren't kept in check in some other way. Maintaining your vitamin and mineral levels helps while you're on anti-androgen medications. Finax tablets 1mg are used to treat hair loss in men with male pattern baldness (androgenic alopecia), to increase hair growth and prevent further hair loss from all areas of the scalp, including the front. Androgenic alopecia is an inherited condition that accounts for 99% of hair loss in men. 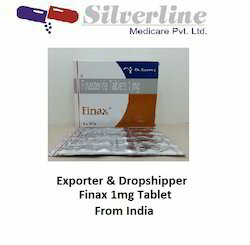 Finax tablets 1mg can help reverse balding in men with mild to moderate hair loss but does not restore hair that has been lost for a long time. 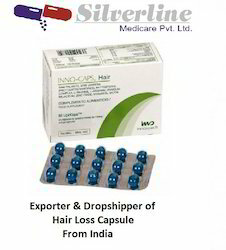 It is not used to treat hair loss in women.Finax tablets 1mg contains finasteride, a type II 5α-reductase inhibitor. Type II 5α-reductase is the enzyme that converts the male hormone to (DHT) in certain tissues, including the skin, scalp and prostate. DHT is the androgen primarily responsible for development and growth of the prostate gland. It is also found in hair follicles where it responsible for hair loss, as it causes hair follicles in the scalp to gradually shrink producing smaller and thinner hairs, which eventually do not emerge from the follicle. Finasteride in Finax tablets 1mg specifically inhibits the action of type II 5α-reductase and this action reverses the balding process, as it blocks the build up of DHT in the hair follicles of the scalp, allowing the hair to grow normally. 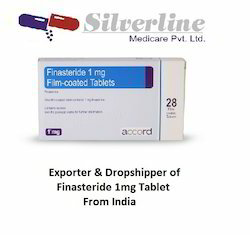 (finasteride) tablets for oral administration are film-coated tablets that contain 5 mg of finasteride and the following inactive ingredients: hydrous lactose, microcrystalline cellulose, pregelatinized starch, sodium starch glycolate, hydroxypropyl cellulose LF, hydroxypropyl methylcellulose, titanium dioxide, magnesium stearate, talc, docusate sodium, FD&C Blue 2 aluminum lake and yellow iron oxide. Finpecia Tablet is a medicine that is used for the treatment of Male pattern hair loss, Benign prostatic hyperplasia and other conditions. 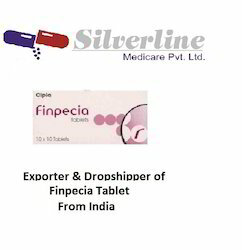 Finpecia Tablet is used for Male pattern hair loss, Benign prostatic hyperplasia and other conditions.Finpecia Tablet contains Finasteride as an active ingredient.Finpecia Tablet works by decreasing the amount of hormone dihydrotestosterone in the body. The most commonly reported side-effects of Finpecia Tablet are decreased desire, inability to achieve an erection, itching of skin, problems with erection, allergic reactions, and infertility.The following is a list of possible side effects that may occur from the use of Finpecia Tablet. This is not a comprehensive list. These side-effects are possible, but do not always occur. Some of the side-effects may be rare but serious. Consult your doctor if you observe any of the following side-effects, especially if they do not go away. 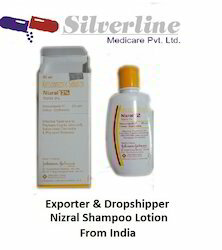 Nizral Shampoo containing the active ingredient ketoconazole is an azole antifungal type of medication. The medication works by disrupting the fungal cell membranes to kill fungi and yeast that are causing an infection. It is mainly used to control dandruff and relieve flaking, scaling and itching of the scalp caused by dandruff. Some patients may also use it to treat pityriasis versicolor. How is Nizral Shampoo used? Nizral Shampoo should be used once per day every 3 to 4 days for up to 8 weeks or as directed by a doctor. Contact a doctor for the correct dosage and length of treatment as it will depend on the patient�s condition and their response to the therapy. Prior to applying the medication, wet your hair thoroughly. Apply the shampoo to your hair and rub the shampoo until it forms a lather. Rinse all the shampoo out of your hair with plenty of water. Repeat if necessary for additional treatment. Do not discontinue the medication until the prescribed length of treatment is completed, even if symptoms have disappeared, as abruptly stopping the treatment can cause the infection to return and the fungi to become harder to treat. The shampoo should not be used on broken, cut, irritated or inflamed skin. Nizral Shampoo is not always suitable for all patients. Always consult your health care provider prior to using this medication if you are pregnant, breastfeeding, trying to conceive, using any other medication (prescription or non-prescription), using any herbal products or supplements, or if you have any allergies or other health problems. 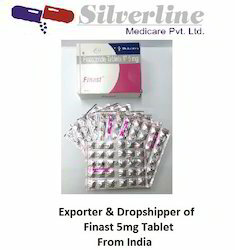 We are the Leading suppliers of Finast Tab. 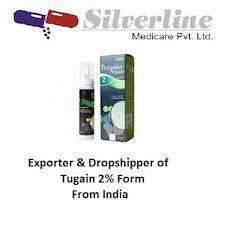 We also do Drop Shipping of Finast Tab. 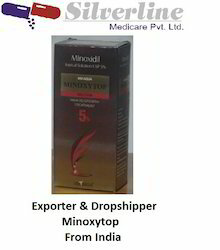 Minoxytop is a vasodilator, prescribed for hypertension. It relaxes blood vessels and improves blood flow.minoxytop calms blood vessels, lowering blood pressure.Minoxytop solution is a vasodilator. 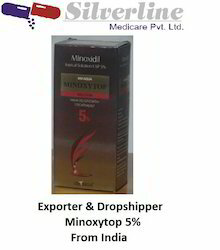 It is not known how Minoxytop solution stimulates scalp hair growth. It is possible that it dilates blood vessels in the scalp, which may improve hair follicle function and stimulate scalp hair growth. We are the Leading suppliers of Fincar Tabs. 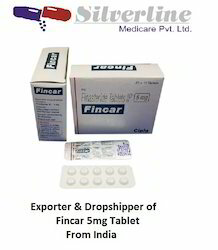 We also do Drop Shipping of Fincar Tab. Finpecia 1mg tablets contain Finpecia 1 mg which is used to treat male pattern baldness to prevent and reverse the hair loss process. Finpecia 1mg tablets inhibit the formation of the male hormone (DHT), which causes hair loss. Finpecia 1 mg contains Finpecia 1 mg that specifically inhibits the action of an enzyme called type II 5α-reductase which is found hair follicles and converts the male hormone to (DHT). It is DHT that is responsible for hair loss as it causes hair follicles in the scalp to gradually shrink producing smaller and thinner hairs, which eventually do not emerge from the follicle. Finpecia 1 mg reverses the balding process as it blocks the build up of DHT in the hair follicles of the scalp, allowing the hair to grow normally. 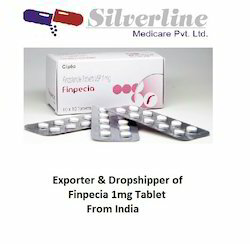 Finpecia 1mg film-coated tablets contain the active ingredient Finpecia 1 mg, which reverses the balding process. Finpecia 1 mg contains Finpecia 1 mg which specifically inhibits the action of an enzyme called type II 5α-reductase which is found hair follicles and converts the male hormone to (DHT). This prevents hair loss caused by DHT and can reverse the balding process in male pattern hair loss (androgenetic alopecia). Finpecia 1mg is generally well tolerated but it is always possible that you may experience side effects, which are usually mild such as, temporary impotence (whilst continuing on treatment) and low libido. Less common side effects include breast tenderness and enlargement (gynecomastia) and itchy skin rash. You should take Finpecia 1 mg tablets with a glass of water once a day with or without food, for up to 3 months or longer, as recommended by your doctor. You should continue to take Finpecia 1mg tablets for as long as your doctor recommends. This may be for 3 months or longer as this is how long it usually takes for new hair to grow and before increased hair growth and/or prevention of further hair loss is observed. Continued use is recommended to obtain maximum benefit, and if you stop taking your Finpecia 1mg tablets during this time, the beneficial effect of Finpecia is reversed and hair loss may resume within 12 months. If you miss a dose of Finpecia 1mg, take it as soon as you remember, unless it is time to take the next dose, then skip the missed dose. Do not take a double dose. 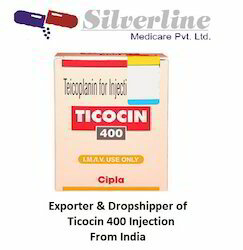 Keep your Finpecia 1 mg tablets in their blister packs and store in cool dry place where the temperature stays below 30°C. Keep away from direct sunlight. 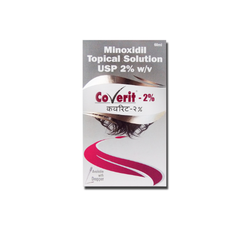 We are the Leading suppliers of Coverit 2% Solution. 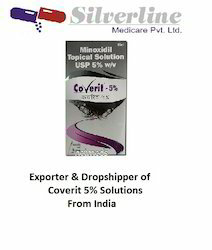 We also do Drop Shipping of Coverit 2% Solution. 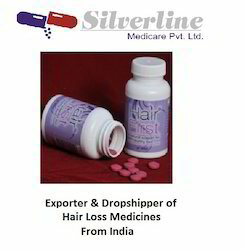 It is most effective in treating hereditary hair loss or thinning at the top of the scalp, not in front. 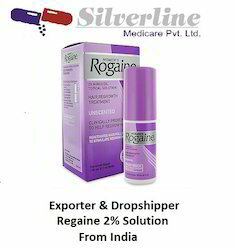 Regaine 5% w/v solution 60 ml works by increasing blood flow to the hair follicles, increasing hair follicle size, and prolonging the growth phase of these follicles. It is used for the treatment of bacterial infections caused by susceptible microorganisms.TARGOCID is indicated in potentially serious Gram-positive infections, including those which cannot be treated with other antimicrobial drugs. Precautions: Caution should be exercised in patients with history of preexisting kidney impairment, any allergy, who are taking other medications, during pregnancy and breastfeeding. Monitor blood counts, liver function regularly. Side Effects: Fever, chills, allergic reactions, GI disturbances, headache, dizziness, red-man syndrome, disturbances in liver enzymes, renal impairment, ototoxicity. Storage Conditions: Store it at controlled room temperature (below 25°C). Reconstituted solutions may be stored for 24 hours at 2-8°C.